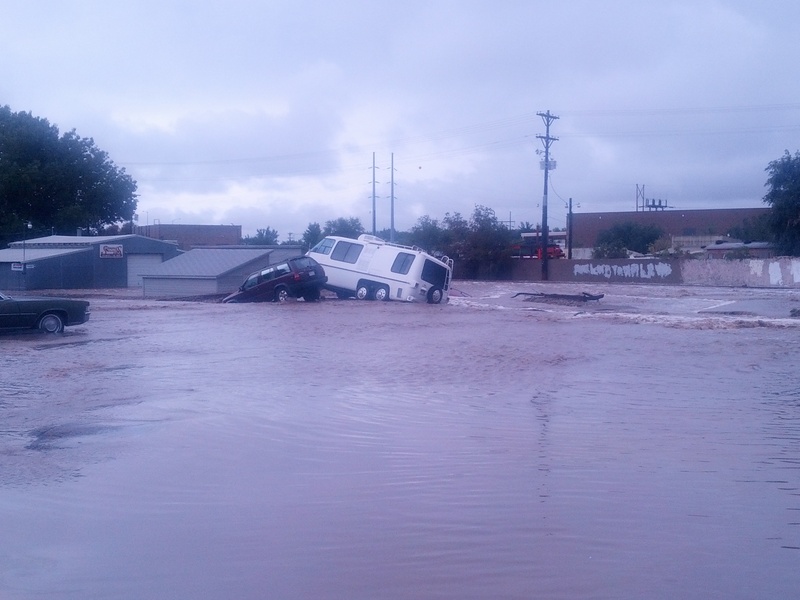 The Colorado Flood – WCET Staff are Fine, the Annual Meeting is On!! This is a BIG deal. 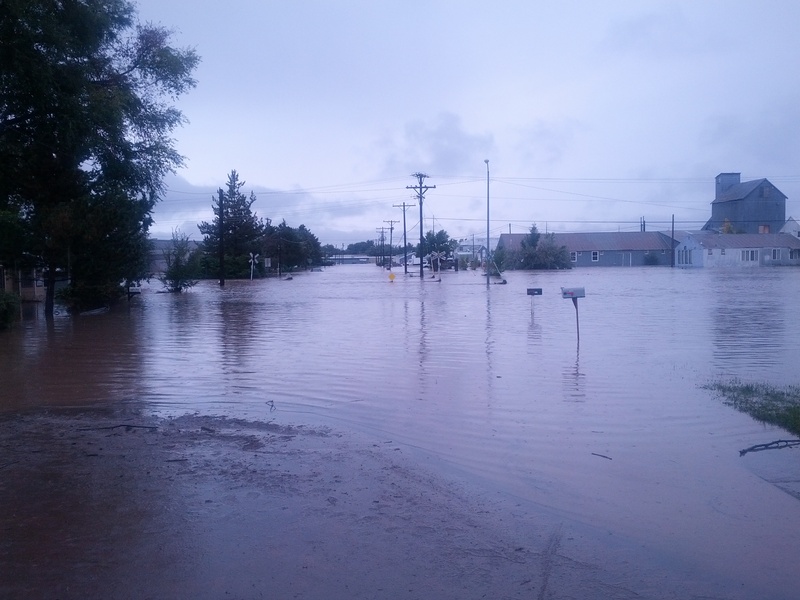 Northern Colorado will be dealing with the aftermath of this flooding for days, months, and years to come. The WCET staff are well and safe, but we each have our own challenges to face. We’re moving ahead with work and this won’t have any impact on the WCET Annual Meeting. Come join us! About a week ago, we had a stretch of hot, dry weather including four days in which we tied or set record highs in the upper 90s. Some rain was a welcome relief. But, then it kept raining!! This is in Longmont (one of the hardest hit areas) a few days ago. The greater Boulder area usually receives about 14 inches of precipitation in a year. Boulder had almost seven inches in 24 hours and had about 13 inches in a three day period. Some locations reported as much as 18 inches in a few days. While Boulder had enough problems to cancel the University of Colorado football game (now you know it was serious!! ), the mountain communities and the areas downstream received the most impact. There are many small towns in the mountains that are accessible by only a few roads. As examples, Lyons and Jamestown were completely cut-off. The resort town of Estes Park, had only one way in and out…the windy road that goes west through Rocky Mountain National Park. Most affected on our crew was Marianne Boeke of NCHEMS. She helps with the WCET State Authorization Network. She and her family had to be airlifted out of Jamestown. Her young boys loved the ride. Marianne said, “tons of fun for them, scary for me!! !” At this time it is unclear when her family can return to her house. WCET Annual Meeting is a Go!! Come Join Us!! The press tends to make it sound like all of Colorado is under water. Denver fared well. Most of the damage is in northern Colorado. You probably won’t be able to tell anything happened in downtown Denver. Come join us at our 25th Annual Meeting. This is the St. Vrain Creek in Longmont. It usually is about 20 feet across and it grew to be about 5 blocks wide. The closest bank is supposed to be on the other side of the building that is way down the street in the middle of the picture. WCET staff are battling leaking in their houses, loss of internet, and figuring out which roads are still open. Some roads are gone and will take months to replace. More than 1,000 bridges need to be inspected. The biggest problems are in crossing what used to be tiny creeks. WCET staff will move forward, but please have some patience as we might not be as responsive as we like. Commuting may get really interesting with lots of road closures and everyone trying to use the same roads. Good thing we can work at a distance!! We’re still figuring this out. We’ll keep you updated. The story is just beginning. Thank you so much for the update – we have all been wondering and it’s good to know you are all okay! Sorry to hear about the effects for you as individuals and for all of the people affected. If there is anything we can do to help you all please do let us know. You feel like family to your WCET members. Thanks for the update. I was thinking of you as well as many family and friends living in that area, Longmont, Lyons, etc. I want to follow up on my application for the Office Manager position for the SARA piece. Since I haven’t heard anything, I figured you had already filled the position, most likely with someone internal to WCET. I did see in a recent post that you’re still looking for a Director and I’m in a position where I’ve retired from Prescott College, and still looking to work. Any possibilities? Anything I can do for y’all from a distance? Thanks for the update, Russ. It’s good to hear that everyone is ok, but I know you all have friends who may not be in as good a place as the WCET staff. Looking forward to seeing you all in Denver. Thanks for doing this, Russ– I am sure many of us were wondering how you were all doing. I have a dear friend in Boulder and was texting her all night when the storms were at their strongest. I’ll be visiting her after the WCET Annual Meeting. Looking forward to November! Take care.